Funding a law school education is no easy feat. Three years of law school education can cost upwards of $120,000. This is a staggering number, especially in a sluggish job market. Law students should take advantage of all resources, such as financial aid, grants and student loans if necessary. To avoid being in debt for many years, it is ideal to avoid taking loans if at all possible. In contrast to student loans, grants for law students do not have to be paid back. There are certain requirements in order to qualify for the grant and keep the grant. Some grants are school-based, private or based on factors such as gender and background. In addition, there are typically specific requirements, such as a minimum GPA or area of interest in the legal field. Carefully review the instructions and requirements before applying to law student grants so as not to automatically disqualify yourself. There are school-based grants for law students, and each law school has different types of grants and qualifications. 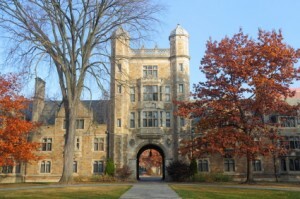 Michigan State University is a school with a generous grant program. Students that receive other forms of financial aid are exempt from most of the grants. This varies from institution to institution and you will need to consult your school’s financial aid office. Some common grant types are public interest grants, career transition grants and part-time grants. The part-time grants are less common and depend on the funding of the school. School-based grants do not need to be repaid. Public interest grants are for Michigan State University law students that take a summer externship while in the program. The grant can be any amount up to $8,000. This covers the tuition during the externship, as well as a money stipend to cover cost of living during the summer. This allows students to get experience in their chosen field of study in the field of law. This grant and externship is almost always during the senior year of law school. Priority is given to students with a financial need. Career transition grants are ideal for potential law students that have experience in the work world or graduate school. Some law schools will even consider full-time care giving, of a relative, as an option for the career transition grant. In general, the students must have at least three to five years of documented work or career experience. It isn’t guaranteed that a student will receive grants for all three quarters, but if students can demonstrate financial need, they might receive that reward. Maintaining good academic standing, which depends on the tenant of the school, is also required. That can be a GPA of about 3.3 or 3.5 to keep receiving the grant. To learn more about grant opportunities at Michigan State, visit the website of the university law school. New England Law School in Boston offers generous grant and scholarship programs. One grant is the Justice Sandra Day O’Connor merit scholarship. It pays not only for all of the tuition, but $30,000 as well. It is renewable each year, depending on academics. Students do not apply for this grant. Rather, every student that enters with exceptional grades is considered. To learn more, visit the New England Law School website. Loyola Law School in Los Angeles, California offers merit awards and grants to students that are interested in public service legal careers. Students with a history of community service, as well as stellar grades, are ideal candidates for this grant. While the amounts vary, they tend to be generous in comparison to other schools. You must submit a statement of your history and background in public interest, along with other requested information. To learn more, visit the scholarship page of the Loyola Law School website. The Attorney’s Title Guaranty Fund is offered by the Georgia State University College of Law. This grant is only given to students that achieve high marks in any and all real estate courses. It is given to students that plan to go into real estate law after graduation. The grant amount and requirements vary from year to year. Georgia State University College of Law students that plan to go into criminal law are eligible for the Michelle Ferguson-Priestly Award. The students must excel in all criminal law classes. An additional requirement is that the students must have a history of community service and a willingness to continue. The grant amounts vary, depending on the year and type of award. Georgia State University College of Law gifts five intellectual property grants each year. There are full-tuition scholarships for students first entering the law school. There are also partial tuition scholarships and grants as well. The partial tuition scholarships are $1000 and only available for the first year of law school. For more on these programs, visit law.gsu.edu. The law firm Butler, Snow, O’Mara, Stevens & Cannada has offered grants for students attending the University of Mississippi’s School of Law. for over three decades. They offer the Butler Snow Scholarship. The firm offers a total of $150,000 for students each year. Individual students receive grants for $3,000 each year. It is renewable from year to year. Grades and financial need are both factors in qualifying for the grant. The James Oliver Eastland Scholarship in Law is gifted to chosen University of Mississippi law students. The founder is a former, and deceased, senator in the area. Part of the requirements are academic ability, but also moral character. Students in all three years are eligible. The grant provides $12,000 annually for students. Second- and third-year students at the University of Michigan Law School are eligible for diversity law student grants. The grants and scholarships are provided by the law firm Dykema Gossett, PLLC. Each grant is $7,500 and gifted annually. An additional benefit to grant recipients is that the firm offers employment as summer associates. The American Bar Association provides private grant funding for law students. One such grant offered by the ABA is the public interest, diversity and professionalism grant. This grant is geared toward fundraising. This is not just an individual grant program. It’s for students, and entities, to establish activities that promote ethics, mental health, wellness and public service. The money is to be used in fairly specific ways. Those include sponsored events, student travel and lodging. The American Bar Association also gifts incoming law students with a $15,000 grant. This is only a one-time payment. The incoming students must be from diverse backgrounds, ethnically and income-wise. Those applying must prove that they have met with adversity and made it to law school in spite of it. To learn more or to apply, visit www.americanbar.org. There are a plethora of grants for law students that are based on gender, ethnicity, nationality and even sexuality. The goal of law student grants for specific groups is that they are typically underrepresented in the field of law. Certain grants are also to promote specific ethnic groups into areas of law that benefit that particular group. Law student grants for African-American students help to promote diversity and award students that succeeded despite barriers to success. The grants are not just based on racial background. They are also need and/or merit-based. Each grant has specific application procedures and requirements. The Black Women Lawyers Association of Los Angeles was founded in 1975. It was formed by a group of laywers and judges to help remedy the lack of representation of black women in the legal field. Since that time, this organization has awarded upwards of $100,000 in grant money and scholarships. This foundation only gives grants to second- and third-year law students. The qualifications for this grant are for second-, third- and fourth-year students. Fourth-year students are those that are in law school part-time and are not usually considered for grant opportunities. As it’s based in Los Angeles, this grant is limited to California residents. It is not only based on background and financial need, but also writing ability and service to the community. The grant amount varies from year to year. To learn more, visit the website of the Black Women Lawyers Association of Los Angeles. The National Bar Institute offers a fellowship and grant program for African-American law students on the premise that they are underrepresented in the field. Third-year, full-time students are eligible for the grant. There are specific requirements for this grant that extend past graduation. Recipients must agree to work for, and within, the African-American community after graduation. The award amount varies from $1,000 all the way up to $10,000. Each year, three students receive the grant award. Women that are interested in public interest law can apply for a grant from the Women Lawyers Association of Los Angeles. They offer the WLALA Fran Kandel Public Interest Grant. It is given to female law students to help fund legal projects that benefit the poor or disadvantaged in society. The actual grant amount varies from year to year. The Marilynne Graboys Wool Scholarship is for women that are about to enter into law school. Women that are in financial need and that maintain high academic standards are eligible. The award amount is $2,000 annually. The Iranian-American Bar Association awards grants and scholarships for Iranian law students. The goal is to promote the advancement of Iranian-Americans in society and the legal community. The award amount is typically $1,000 to $2,000 per year. This grant is really given to students without other sources of money and funding, especially from other organizations. The amount does vary due to the funding that particular year. Refer to the application and guidelines for more information. The JEF, Japanese American Bar Association Educational Foundation, gifts grants and scholarships to both recent graduates and law students. The goal is to promote Japanese Americans in the legal field, and to encourage the advancement of Japanese American judges. The grant monies are awarded based on a myriad of factors. Applicants are required to submit a resume and transcript. Law students with an interest in becoming judges have the best chance of receiving a grant. The National Asian Pacific American Bar Association Foundation Scholarships, also known as NAPABA, gives several different scholarships and grants. The amount of grant money ranges from $2,000 to $8,000. This grant is not just for law students with an Asian Pacific background. While that is a factor, people of all backgrounds with a commitment to serving the Asian Pacific community are eligible. Heavy weight is given to people who intend on going into public service. Other factors that they take into consideration are financial necessity and work experience. Jewish students in the Chicagoland area have access to the Jewish Federation Academic Scholarship Program. They gift scholarships and grants to graduate students and law students. The recipients must be legal residents of the area. The Jewish Federation of Metropolitan Chicago funds the grants. The grants are typically for those that have financial need. The amount varies from student to student and are usually around $1,000. There are law student grants for students of Eastern European heritage, whether at birth or ancestry. The Serbian Bar Association offers annual grants and scholarships. The amounts of the grants range from $500 to $2000. The requirement for the grant is not only Serbian ancestry, but also an intent to benefit the Serbian community with the law degree. 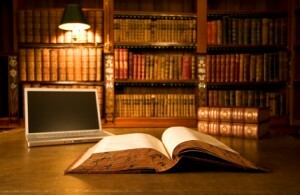 Students enrolled in accredited law schools in the United States are eligible. For more information, the listing for this scholarship can be found here. The Bohemian Lawyers Association of Chicago offers grants and scholarships for students with Slovak, Czech or Silesian ancestry in the Chicago area. The grant amount is $1500 annually. Grants are based on merit, need and ethnicity. The Mexican-American Legal Defense and Educational Fund offers grants for finishing law school. It is unique in that it offers grants to first-year, as well as second- and third-year students, born in Mexico or born in the United States of Mexican descent. The award amount, which is up to $7,000 per student, Is based on outstanding grades, in addition to participation in extracurricular activities, especially those that benefit the community. The Hispanic College Fund provides grants and scholarships for students of Hispanic backgrounds for many degrees, including law. In order to qualify for a grant, you must have at least a 3.0 GPA prior to entering law school or while in law school. The grant amounts vary from $500 to $5,000. Those that can prove financial need will be considered first. The Puerto Rican Bar Association of Illinois gives grants to the Hispanic community, but in particular people with a Puerto Rican background. The opportunity is for students that have a financial need and stellar grades. Students that intend on working in the field of law for the advancement of Hispanics will be most competitive. The amount of the grant may change yearly. The Puerto Rican Legal Defense and Education Fund/Latino Justice (PRLDEF) is another grant program for all Latino students, not just Puerto Rican students. All Latino students in the United States, including Puerto Rico, are encouraged to apply. This grant only goes to students in their first two years of study. The grant amounts and requirements vary from year to year. The Point Foundation gives law school grants to Lesbian, gay, bisexual and transgender law students. The scholarships and grants are intended to pay for living expenses, tuition, books and other related costs. In order to get this grant, the recipient must maintain a high GPA. Part of accepting the grant involves giving back to the LGBT community by doing a community service assignment during the third year in law school. Those with a commitment to working in the community after graduating from law school are typically given priority. The Office of Indian Education provides grants and fellowship programs for state or federal tribe members obtaining a law degree. Students must be able to prove that they are at least one-quarter Native American or Alaska Native, from any tribe. Proving Native American ancestry means that you will have to submit a Tribal Eligibility Certificates. Applicants must also have a financial need. The grants range from $1,000 to $5,000 each year. The Association on American Indian Affairs gifts grants and scholarships from $750 to $1,500 in the Sequoyah Graduate Scholarships. It is given based on financial need, lack of other financial resources, as well as grades. Law students can apply for the grant each year. Exceptional grades throughout law school are essential for renewal. You will need to prove that you are at least one-quarter Native American. The best way to do so is with a Tribal Eligibility Certificate. As you can see, taking the time to pursue law student grants can be lucrative. Even if you don’t meet the specific parameters of the grants listed, this is by no means a comprehensive list of the grants available. Start by exploring your school’s financial aid department and any organizations that you belong to. When researching grant options, use your grades, chosen law school, background, heritage and grades to choose the grants that are available to you. I am a 62 year old male of mixed race, heritage. My dream has always been to be a lawyer, and help people, who, normally, cant get the legal help they need. I need a grant to complete law school, in return for which, I will be glad to do legal work for the entity providing the grant. My interests are criminal, family, labor, education, and public interest, and immigration law.